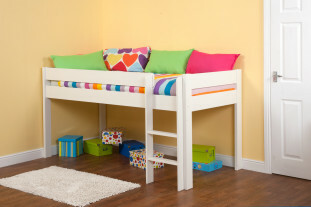 A delightful mid sleeper with stunning grooved end panel detailing which will look splendid in your bedroom. 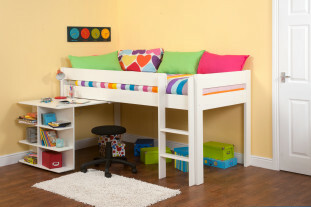 With it’s unique design, solid frame and finished in a lovable fresh crisp white this bed is ageless. 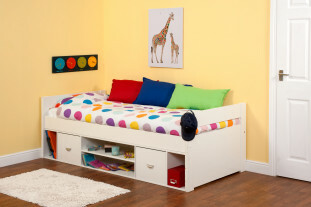 Made from a durable Scandinavian pine this bed will last for years to come and can be converted in the future into a high sleeper, bunk bed or down into a single bed.